Added | Life is tough, my darling, but so are you. I think I’m obsessed with washi tape. It’s possibly the greatest thing invented! 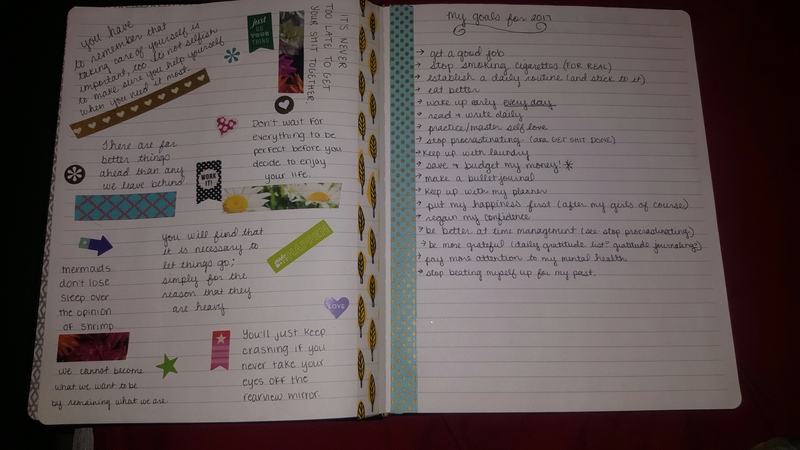 I’ve had a rough few years so this year all my goals are centered on bettering myself. I feel really great about them. I’m currently using a Filofax. I love it. To be honest, I just like to planner shop. That’s a good idea. 🙂 Everyone needs to self-improve from time to time. I ordered my planner from Amazon but you can always go to the Me and my Big Ideas website! I love it, each one is unique and beautiful in its own way. And the decorating options are endless!